So July was crazy and has created something of a blogging backlog. I still haven’t blogged about Gabriel’s Space Birthday Party, Reiki, my Cornwall holiday or The Big Move. But we are in the new house, and we love, love, love it!! 1st July – My 33rd Birthday. Did my first ever duologue scene in acting class and had celebratory drinks after class. 2nd July – Birthday dinner with my husband and found out we have to leave the flat, our home for the last 6 years. 4th July – Our Gabriel’s 4th Birthday, his morning visit to his new Primary School. Found a new house in the afternoon!! 5th July – Gabriel’s last day at nursery. Leaving present shopping galore and lots of tears! 6th July – Threw Gabi an awesome Space Party with all his friends from nursery. 7th July – Started packing and trying to absorb the fact it was our last night really living in our flat the way we had been, with all our stuff around us. 8th July – Drove to Cornwall to Mum and Dad’s house to start our holiday. 10th July – My Grannie died, in N. Ireland. 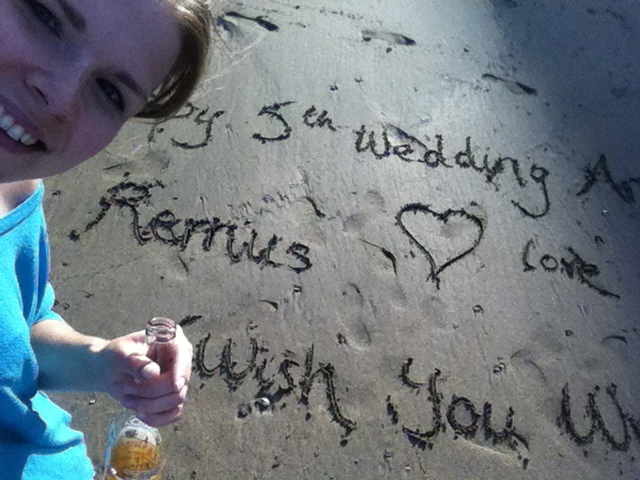 Remus’ one day of holiday, a lovely sunny day on the beach with our boys, ending with a BBQ. 11th July – Set off in two cars, in convoy with my parents, to N. Ireland. Stayed in a lovely cottage with a trampoline for the boys. 12th July – Remus put his back out playing table tennis with my Dad (!) and ended up missing the funeral. 13th July – Threw up all morning with hideous migraine. Grannie’s funeral in the afternoon. 14th July – Had a large BBQ with only some of my enormous clan/family. 16th July – Arrived back in Cornwall. Holiday time! 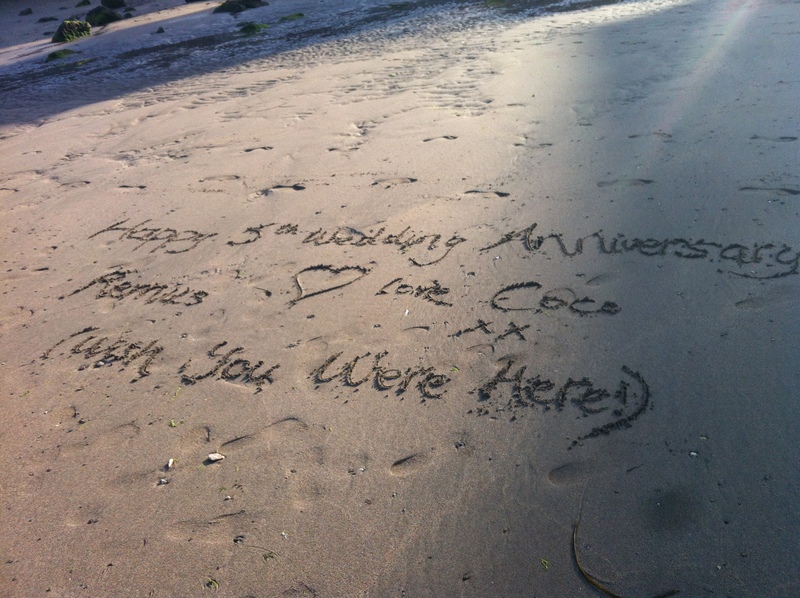 19th July – Celebrated our 5th Wedding Anniversary alone with a beer on the beach, while my lovely husband packed up our flat in London. 21st July – Attuned to Reiki Level 1. Something I have been wanting to do for YEARS! 26th July – Back to London. 28th July – A lovely day in Kent for Jennie Edspire‘s twins birthday Gruffalo Party! 29th-31st – Rehearsing for and playing at the BBC Proms in the BBC Concert Orchestra. On 2nd August we moved into our lovely new house and a new era has begun… a wonderful one! All great changes are, indeed, preceeded by chaos. Pingback: Gabriel’s 4th Birthday – a very belated account | Coco&Co.